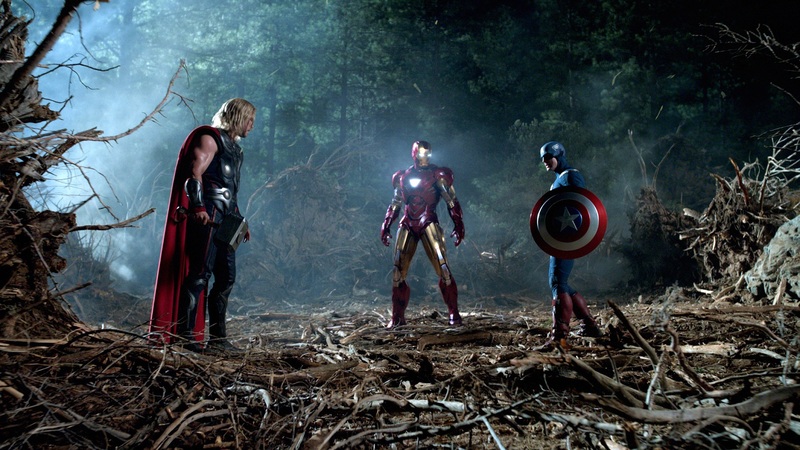 This setpiece demonstrates what's wrong with the first half of The Avengers. The forest looks like a cheap set. There's virtually no story reason why these two superheroes should be fighting when a simple conversation would end their misunderstanding. And entirely too much time is spent establishing each character's powers and personality when another better film would trust its audience to catch up along the way. But, for the little child inside of me, there is something undeniably neat about finally getting to see these comic book titans interact onscreen. All the money (roughly $220 million) they seem to have forgotten to spend in the first half of The Avengers seems to have been saved for the movie's climax, a protracted Midtown Manhattan brawl where the Avengers contend with Norse god Loki (Tom Hiddleston) and his Chitauri—they're-not-the-Skrulls—alien force. The locales look real; no backlot soundstage a la Superman II's climactic Phantom Zone villain attack on New York. In this segment, there's an unexpected visual panache that occasionally pays homage to The Avengers' comic book roots. One memorable shot, a low angle capturing Captain America's reflection on a broken side-view mirror lying in the rubble, recalls Alex Ross's painted artwork from Marvels. Like in that comic series, the composition serves to make the unreal feel a tiny bit more human-scale. Of course, that feeling is fleeting, as we finally let to see Captain America (Chris Evans) let it rip with shield-flinging, balletic somersaults and witness the full extent of archer Hawkeye's expert marksmanship. 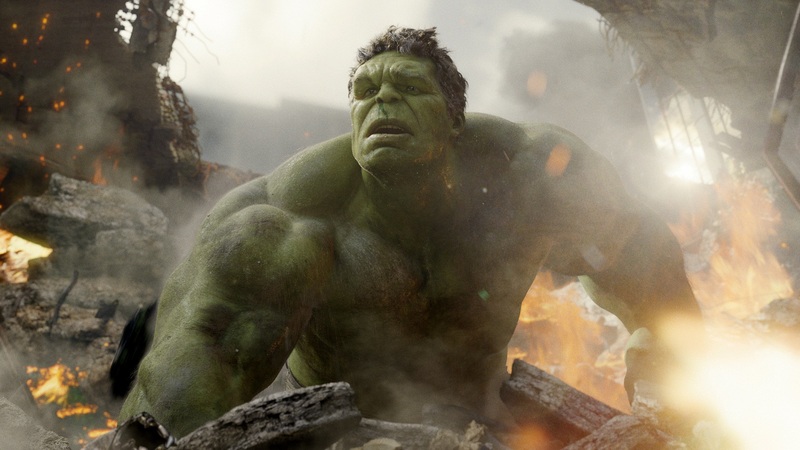 Best of all, we get the most exciting, lengthy Hulk-out ever (if there's one franchise that shall benefit the most from this film, it's the much maligned Hulk's... dude's got style in this one). All stunts aside, though, one shouldn't underestimate this summer movie's attempts at verisimilitude. 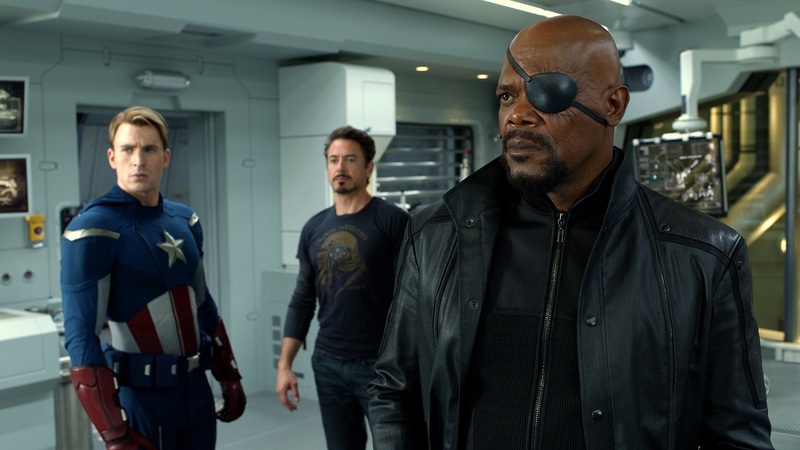 The Avengers' saving grace is director/co-screenwriter Joss Whedon's uncanny ability to distill the essence of these eclectic characters into their dialogue. It's easy enough to credit Downey—a clever, jaded actor (who is nevertheless fully invested in the at times silly proceedings)—for Stark's sarcastic witticisms. "You've been tiptoeing, big man," he tells Ruffalo's downcast Bruce Banner about holding back his rage, "It's time to strut." But how do you account for Black Widow or Thor, whose respective performers are, ahem, more limited of range? Or Hulk, a CGI-creation whose physical performance is captured off of Ruffalo, the third actor to play the beast in as many films? Whedon makes each protagonist the epitome of him or herself. 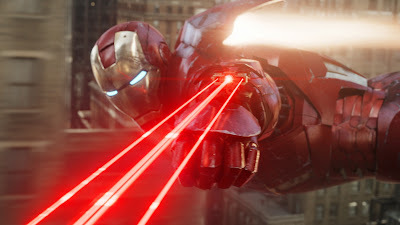 That is, for lack of a better way to express it, Iron Man is the most "Iron Man-like" Iron Man Downey's ever played, thanks to an assist from Whedon. In that sense, The Avengers fulfills on the promise that Stan Lee's early comics made with their fans. 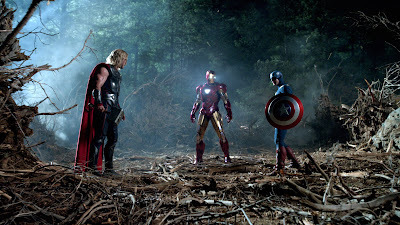 What's important about a Marvel hero, The Avengers affirms, is not his unique superhuman powers but the quality of his character. And The Avengers has enough room between its bouts of superheroic histrionics to illustrate this point, in spades. 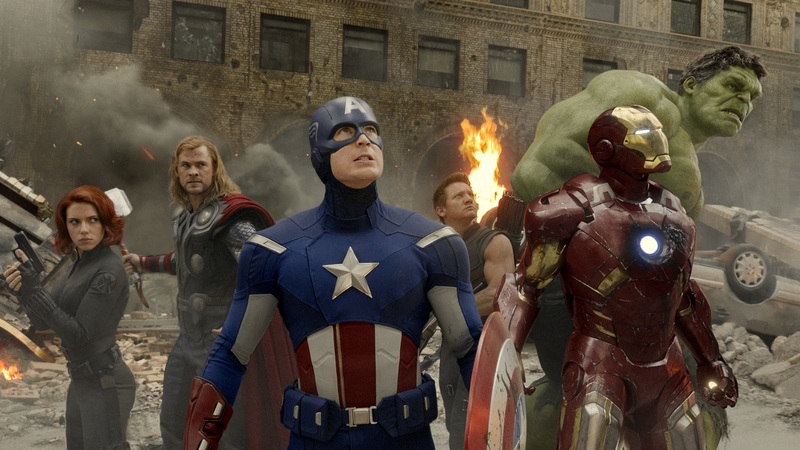 Jam-packed full of action, humor, special effects, and superheroes, The Avengers is the perfect way to start off the Summer blockbuster season. I hope that Whedon returns for the sequel that they're talking about doing, but then again, it may be another 4 years until we get to see that again. Nice review Tony. I wonder what will be a bigger flick this Summer: this or The Dark Knight Rises? Can't wait to see that one either! I remember liking that shot of Captain American reflected on the mirror in the street a lot as well. What you mention about their being no reason for the heroes to be fighting is something that happens in almost all of Marvel comics. The mere reason is to see this heros go against each other, its something that comic book fans love, the famous "vs." issues where two known heroes end up kicking each others asses because of a misunderstanding that could have easily been resolved by talking. But who wants to see the talking? From a pure box office standpoint, Dan, it will be interesting to see whether it's THE DARK KNIGHT RISES or THE AVENGERS that wins. My money is on AVENGERS. Not that the other film will do much worse, but THE DARK KNIGHT also benefitted (if one could call it that) from the untimely death of Heath Ledger, his great performance and the attendant publicity. Plus THE DARK KNIGHT RISES just looks plain dull. 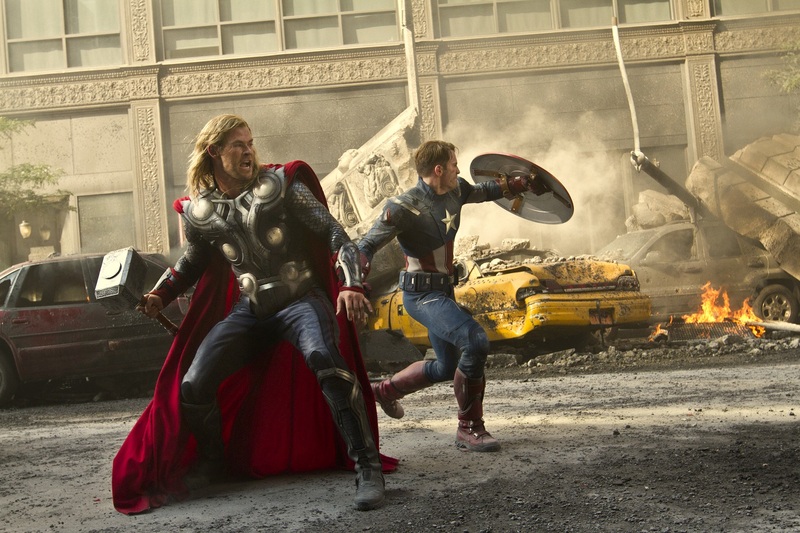 Film Connoisseur, I get the thing about the superhero battle being a long-standing comic book trope. My point is that it's tired and worn in comics; there's no need to continue the tradition onscreen as well. Hope you enjoyed the film as much as I did. 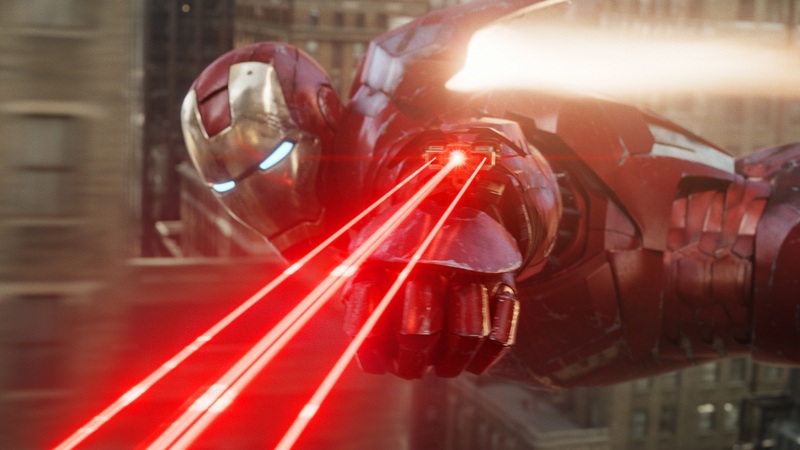 Tony, Avengers has a built-in advantage over Dark Knight Rises in the moneymaking race because Nolan refused to make his film in 3-D. That means DKR ticket prices can only be inflated for IMAX showings, which are far fewer in number than 3-D screenings. Also, as you say, Ledgermania inflated the previous Batman film's audience somewhat. I haven't been extremely enthused by the DKR previews -- Nolan's interest in Bane is baffling -- but I still hope for something better than what I expect Avengers to be. That isn't meant as a knock on Avengers or Joss Wheedon -- I'll be seeing the film tomorrow -- but I still like The Dark Knight better than any of the Marvel films to date. 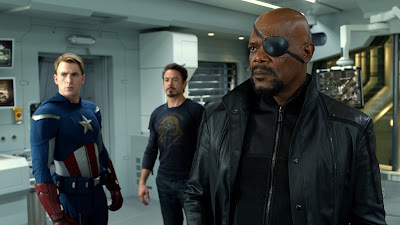 The one question that continues to bother me is: why, with all his technology and seemingly limitless resources, does Nick Fury not get that eye fixed?